After its recent launch in India, the range Rover Velar has now been launched in Malaysia as well. 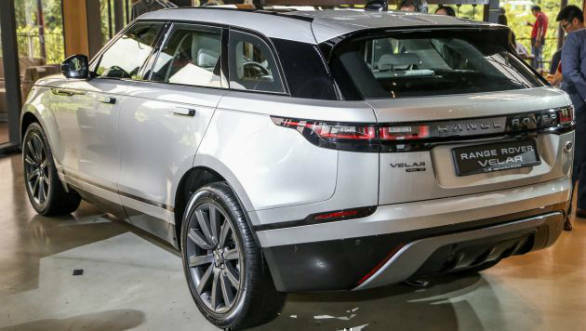 Jaguar Land Rover is selling the car in two variants-Velar and Velar R-Dynamic. Unlike the Indian market Velar, only the 2.0-litre Ingenium petrol in 250PS/365Nm tune is available. The Velar sits on the same platform that also underpins the Jaguar F-Pace. It sits between the Range Rover Evoque and the Range Rover Sport. In flesh, the Range Rover Velar looks absolutely stunning. It seems to borrow a few design cues from its bigger brother, the Range Rover Sport but, at the same time, it looks distinct as well. The luxurious interiors are another highlight of the new Range Rover Velar. A unique aspect of the cabin is the large, dual touchscreens. The top screen is for the infotainment system and navigation, while the bottom screen can be used to operate other functions such as activating the seat massager. The floating rotary dials for the air conditioner that sit below the bottom screen is a neat touch as well. The Velar comes with 20-inch seven-spoke Style 7014 while the Velar R-Dynamic gets larger 21-inch ten-spoke Style 1033 with satin dark grey finish unit and a styling kit not available on the standard car. The kit specs the car with the bolder front bumper, twin chrome exhaust finishers and R-Dynamic branding on the vehicle. 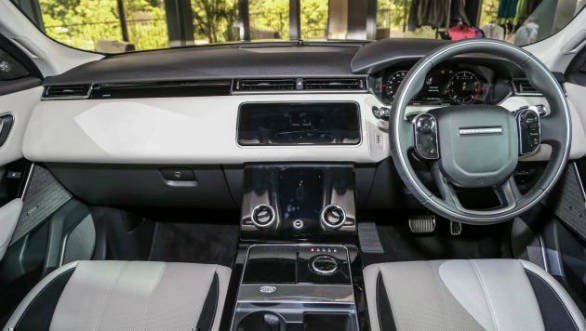 Other features available on the R-Dynamic are head-up display, panoramic sunroof and suedecloth upholstery. 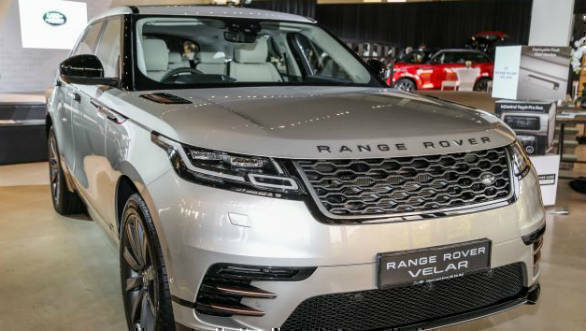 Prices for the Range Rover Velar start at RM529,800 in Malaysia. A P380 option powered by the 3.0-litre supercharged V6 packing 380PS/450Nm will be available later on.